"Reseating Central Texas one chair at a time"
To provide high quality service and customer satisfaction. 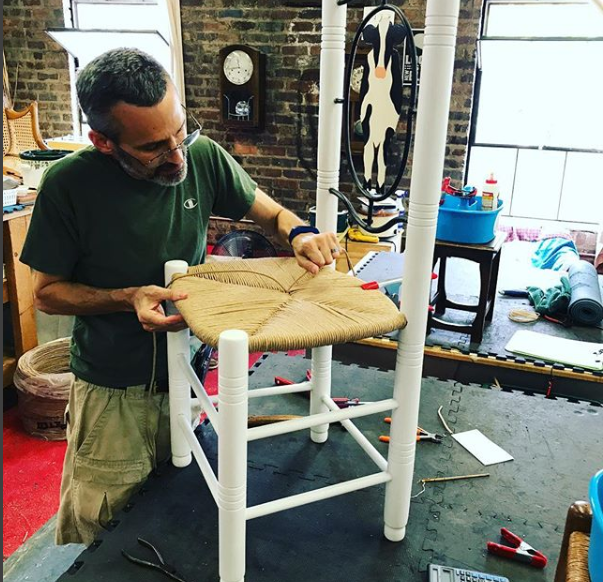 We offer a variety of chair restoration services, such as pressed cane and rush weaving. Our pricing is determined according to the work that needs to be done. Email me a photo of your item for a price quote. Serving Austin, Round Rock, Georgetown, Cedar Park, Pflugerville, Salado and Belton. My name is Jay Hirsch. I started woodworking as a child with my father who managed a hardware store in Philadelphia, PA.
My Grandfather was also a woodworker, creating pieces of furniture for our family. I have spent years building both indoor and outdoor furniture, which led me directly to my interest in restoring chairs to their former glory.